As a resident of the UK who has never been able to afford a holiday, let alone a trip abroad and thus couldn't afford to leave then UK if the mishandling of this situation continues post-Brexit, I have no choice but to be in this for the long haul. I already struggle to get by, any negative impact on my income (which includes tax hikes, price rises and all that lovely stuff) is going to send me and my family into poverty. I'm sure from the way most Brexiteers on here talk they don't face such hardship. I'm a very hard working guy but there are reasons, that I don't want to go into again, that I can't go out and generate income. That is the best news i have heard in a long time. Good, let The EU throe us out and then we get to leave, which is what we have being aiming to do for nearly the last 3 years. Have you got a date when we will be thrown out? Came across this online today and I cannot agree more with this entire article! THIS IS EXACTLY the plan... 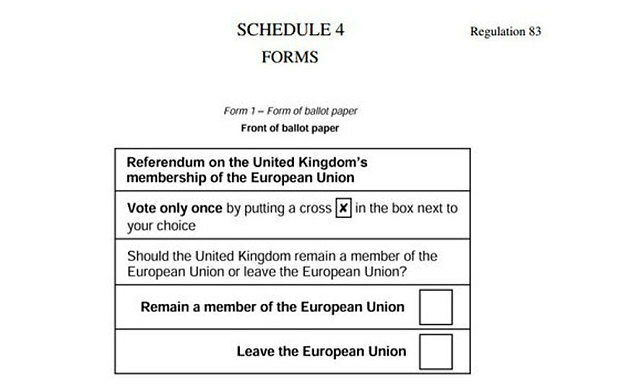 It is so clever yet so very simple with the eventual goal being the second referendum. Where's the logic in that? If the plan all along was to have a bill passed in parliament that retained some sort of customs union, there is no need for a second referendum that might reverse Brexit. Your statement makes no sense at all. Just like 90% of the suggestions the mottley crew of Remainers constantly make in the House of Commons. As for the Telegraph conspiracy theory, I just heard a government minister say they were now pursuing exactly this same plan on BBCTV, so there's nothing revealing about this piece. It's not even a clever strategy. Just the last gasp of a tired government run by mediocre men and women who could not even work their way out of a paper bag. edit on 14-4-2019 by micpsi because: Typo corrected. Let me clarify it again for you, though I was told I was wrong. When Cameron f### off May took over since then ALL the plans and negotiations have been CONSERVATIVE biased. The Conservatives alone have completely controlled the Brexit plans. Now with dj experience this Conservative led government has proven with it's auterity program that it's NOT good for the British people. So do you actually think their Brexit plan was going to be good. Now come down to the trying to pass stages. If their plan was not good for the people do you honestly think the opposition parties would vote for it. NO, yet you all throw the blame on the Labour party. Oh it's their fault we haven't left. Right from the start, 2016, it should have been an all party group deciding what we wanted and what we didn't want. But no Mrs May kept in in tory hands till a month or so ago when she asked the labour for their input. And still you cty Labour has stabbed us in the back. Now think on the big frightener, the Irish Backstop. What a load of BS. Do you honestly think that any European country, who wants to import goods into the UK is going to ship their goods all the way to Southern Ireland, transport them up country to Northern Ireland to avoid import duty, which would be considerably less than the transport costs. dj, I starred you because I felt sincerity and honest concern in your posts. we are all in this for the long haul and don't forget I always appreciate your posts. my heart to the power of Pi. better the opportunity to permanently enshrine in law an enhanced rights of protection. all those found to have profited from misery, well, let's leave that for the audits. What happens if these slimeballs get a second referendum and people choose leave again? We keep going untill they get the answer they want. there has been so much said over the past eternity that this snip has gone on for BUT 1 important point to add, the Attorney General has stated that the question being asked if a second referendum was the choice taken can not be the same as the first, so already there is a barrier to be asked about leaving, this may ensure Brexit does take place and a second referendums question may only be about which particular brexit deal the public want. Dont hold me to task though if they just make up new rules.